For the Father judges no man, but has committed all judgment to the Son (Jhn 5:22). And has given him authority to execute judgment also, because he is the Son of man (Jhn 5:27). These two stages of God’s work are carried out by God in His incarnate identity because they are so important to the entire management work. It could almost be said that, without the work of the two incarnations of God, the entire management work would have ground to a halt, and the work of saving mankind would be nothing but empty talk. Whether or not this work is important is based on the needs of mankind, and the reality of mankind’s depravity, and the severity of Satan’s disobedience and its disturbance of the work. The right one who is up to the task is predicated upon the nature of his work, and the importance of the work. When it comes to the importance of this work, in terms of what method of work to adopt—work done directly by the Spirit, or work done by God incarnate, or work done through man—the first to be eliminated is work done through man, and, based on the nature of the work, and the nature of the Spirit’s work versus that of the flesh, it is ultimately decided that work done by the flesh is more beneficial for man than work done directly by the Spirit, and offers more advantages. This is God’s thought at the time to decide whether the work was done by the Spirit or by the flesh. There is a significance and basis to each stage of work. They are not groundless imaginings, nor are they carried out arbitrarily; there is a certain wisdom in them. Such is the truth behind all of God’s work. It is because of these judgments that you have been able to see that God is the righteous God, that God is the holy God. It is because of His holiness and righteousness that He has judged you and visited His wrath upon you. Because He can reveal His righteous disposition when seeing mankind’s rebelliousness, and because He can reveal His holiness when seeing mankind’s filth, this is enough to show that He is God Himself who is holy and without taint, but who was also born in a land of filth. If He were a man who sullies himself along with others and if He did not have any elements of holiness or a righteous disposition, He would not be qualified to judge mankind’s unrighteousness or to be the judge of mankind. If man were to judge man, wouldn’t it be like slapping their own face? How could someone have the right to judge the same kind of person, who is just as filthy as they are? The only One who can judge all of filthy mankind is the holy God Himself, and how could man judge man’s sins? How could man be capable of seeing man’s sins, and how could they be qualified to condemn man? If God didn’t have the right to judge man’s sins, then how could He be the righteous God Himself? When people’s corrupt dispositions are revealed, He speaks out to judge them, and only then can they see that He is holy. Only God Himself can do His own work, and no one else can do this work on His behalf. No matter how rich the language of man is, he is incapable of articulating the reality and normality of God. Man can only know God more practically, and can only see Him more clearly, if God personally works among man and completely shows forth His image and His being. This effect cannot be achieved by any fleshly man. … The work of God’s flesh in the Age of Grace and the Age of Kingdom, however, involves man’s corrupt disposition and his knowledge of God, and is an important and crucial part of the work of salvation. Therefore, corrupt mankind is more in need of the salvation of the incarnate God, and is more in need of the direct work of the incarnate God. Mankind needs the incarnate God to shepherd him, support him, water him, feed him, judge and chastise him, and he needs more grace and greater redemption from the incarnate God. Only God in the flesh can be the confidant of man, the shepherd of man, the very present help of man, and all of this is the necessity of incarnation today and in times past. The work of God’s entire management plan is personally done by God Himself. The first stage—the creation of the world—was personally done by God Himself, and if it had not been, then no one would have been capable of creating mankind; the second stage was the redemption of all mankind, and it was also personally done by God Himself; the third stage goes without saying: There is an even greater need for the end of all God’s work to be done by God Himself. The work of redeeming, conquering, gaining, and perfecting the whole of mankind is all personally carried out by God Himself. If He did not personally do this work, then His identity could not be represented by man, or His work done by man. In order to defeat Satan, in order to gain mankind, and in order to give man a normal life on earth, He personally leads man and personally works among man; for the sake of His entire management plan, and for all of His work, He must personally do this work. If man only believes that God came to be seen by him and make him happy, then such beliefs hold no value, they have no significance. Man’s knowledge is too superficial! Only by carrying it out Himself can God do this work thoroughly and completely. Man is incapable of doing it on behalf of God. As he does not have God’s identity or His substance, he is incapable of doing His work, and even if man did, it would not have any effect. The first time God became flesh was for the sake of redemption, to redeem all mankind from sin, to make man capable of being cleansed and of being forgiven for his sins. The work of conquest is also personally done by God among man. If, during this stage, God were only to speak prophecy, then a prophet or someone gifted could be found to take His place; if only prophecy were spoken, man could stand in for God. Yet if man were to personally do the work of God Himself and were to work the life of man, it would be impossible for him to do this work. It must be personally done by God Himself: God must personally become flesh to do this work. In the Age of Word, if only prophecy were spoken, then Isaiah or Elijah the prophet could be found to do this work, and there would be no need for God Himself to do it personally. Because the work done in this stage is not merely the speaking of prophecy, and because it is of greater importance that the work of words is used to conquer man and defeat Satan, this work cannot be done by man, and must be personally done by God Himself. In the Age of Law Jehovah did part of God’s work, after which He spoke some words and did some work through the prophets. That is because man could stand in for the work of Jehovah, and the seers could foretell things and interpret some dreams on His behalf. The work done in the beginning was not the work of directly changing man’s disposition, and was unrelated to the sin of man, and man was required only to abide by the law. So Jehovah did not become flesh and reveal Himself to man; instead He spoke directly to Moses and others, made them speak and work on His behalf, and caused them to work directly among mankind. The first stage of God’s work was the leadership of man. It was the start of the battle with Satan, but this battle had yet to officially begin. The official war with Satan began with the first incarnation of God, and it has continued right up until today. The first instance of this war was when God incarnate was nailed to the cross. The crucifixion of God incarnate defeated Satan, and it was the first successful stage in the war. When God incarnate begins to directly work the life of man, this is the official start of the work of regaining man, and because this is the work of changing man’s old disposition, it is the work of doing battle with Satan. The stage of work done by Jehovah in the beginning was merely the leadership of man’s life on earth. It was the beginning of God’s work, and although it had yet to involve any battle, or any major work, it laid the foundation for the work of the battle to come. Later, the second stage of work during the Age of Grace involved changing man’s old disposition, which means that God Himself wrought the life of man. This had to be personally done by God: It required that God personally become flesh, and if He had not become flesh, no one else could have replaced Him in this stage of work, for it represented the work of fighting directly against Satan. If man had done this work on God’s behalf, when man stood before Satan, Satan would not have submitted and it would have been impossible to defeat it. It had to be God incarnate who came to defeat it, for the substance of God incarnate is still God, He is still the life of man, and He is still the Creator; whatever happens, His identity and substance will not change. And so, He put on the flesh and did the work to cause the complete submission of Satan. During the stage of work of the last days, if man were to do this work and were made to speak the words directly, then he would be unable to speak them, and if prophecy were spoken, then it would be incapable of conquering man. By assuming the flesh, God comes to defeat Satan and cause its complete submission. He utterly defeats Satan, fully conquers man, and completely gains man, after which this stage of work is completed, and success achieved. In God’s management, man cannot stand in for God. In particular, the work of leading the age and launching new work is in even greater need of being personally done by God Himself. Giving man revelation and providing him with prophecy can be done by man, but if it is work that must be personally done by God, work of the battle between God Himself and Satan, then this work cannot be done by man. During the first stage of work, when there was no battle with Satan, Jehovah personally led the people of Israel using the prophecy spoken by the prophets. Afterward, the second stage of work was the battle with Satan, and God Himself personally became flesh, coming into the flesh, to do this work. Anything that involves the battle with Satan also involves the incarnation of God, which means that this battle cannot be waged by man. If man were to do battle, he would be incapable of defeating Satan. How could he have the strength to fight against it whilst still under its domain? Man is in the middle: If you lean toward Satan you belong to Satan, but if you satisfy God you belong to God. Were man to stand in for God in the work of this battle, would he be able to? If he did, would he not have perished long ago? Would he not have entered into the netherworld long ago? And so, man is unable to replace God in His work, which is to say that man does not have the substance of God, and if you did battle with Satan you would be incapable of defeating it. Man can only do some work; he can win some people over, but he cannot stand in for God in the work of God Himself. How could man do battle with Satan? Satan would take you captive before you’d even started. Only God Himself can do battle with Satan, and upon this basis man can follow God and obey Him. Only in this way can man be gained by God and escape from the bonds of Satan. What man can achieve with his own wisdom, authority and abilities is too limited; he is incapable of making man complete, of leading him, and, moreover, of defeating Satan. Man’s intelligence and wisdom are unable to thwart the schemes of Satan, so how could man do battle with it? 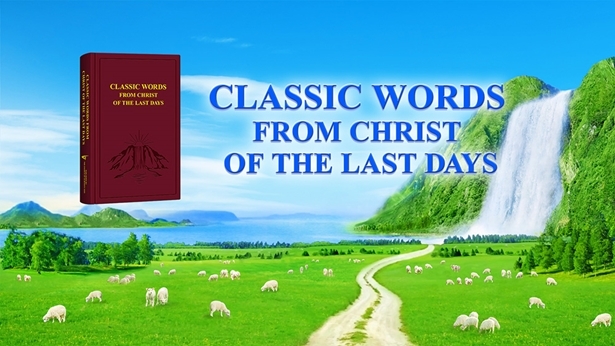 Previous：What Are the Differences Between the Work of God Incarnate and Work of the Spirit? Next：Why Is It Said That Corrupt Mankind Is More in Need of the Salvation of God Become Flesh?